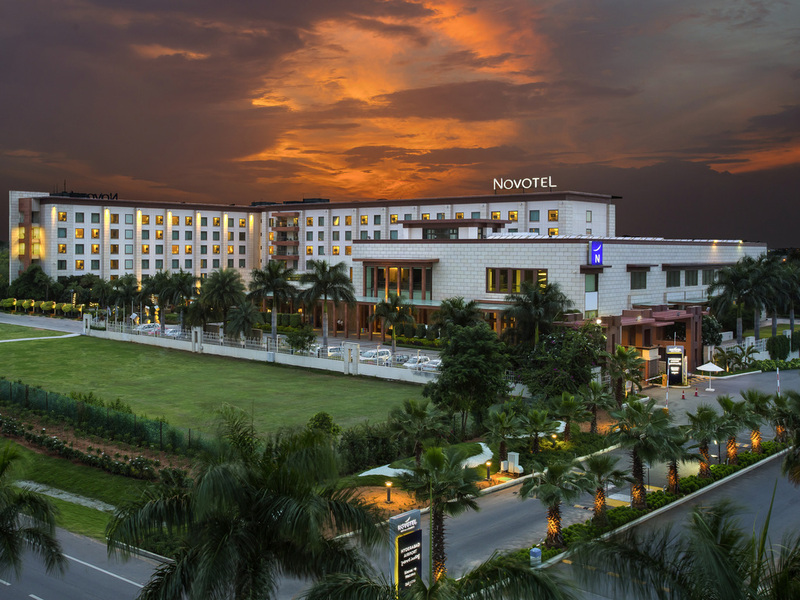 One of the only few five star hotels and resorts near Rajiv Gandhi International Airport in Hyderabad, Novotel Hyderabad Airport is set in the lap of nature with expansive views & a resort-like ambiance. The hotel comprises 289 spacious rooms and suites, 70,000 sq.ft. of flexible banqueting space, sports arena, state-of-the-art gym, spa & multiple dining options. Novotel Shamshabad is an ideal destination for transit, destination weddings, weekend getaways, corporate events & conferences and day outings. Novotel Hyderabad Airport is situated near the only International Airport in Telangana. It is also ideally located at the road transport gateway to upcoming cities of Telangana and Andhra Pradesh. Also situated at a hassle-free drive from the city. A signature multi-cuisine 24hours restaurant overlooking the poolside with open alfresco dining. The Square offers a lavish buffet with the Asian, Indian & western live counters. Haldi is an Indian Specialty Restaurant open for only dinner. Welcome to a whole new experience where fresh and rich aromas of the Indian spices will fill your senses with pleasure and sizzle your taste buds. The Bar at Novotel Hyderabad serves a wide selection of delicious beverages including cocktails, shooters, wines, spirits and beers. Take a seat and chill out with ear soothing music. At the Premier Lounge, guests can enjoy complimentary tea and coffee, complimentary cocktails from 6 p.m. to 8 p.m., express check-in and check-out. This exclusive lounge is accessible only to Premier floor guests.